More than half websites in the world run on WordPress. Blogs, eShops, landing pages — with enough fine-tuning, WordPress can do seemingly anything. And if it can’t — there is always Joomla or Magento or anything else equally mainstream. Maybe, someone had once heard about Drupal, though absolute majority have never even seen it. But if that was all the Content Management Systems that the web can offer — the world would be infinitely more boring. So we at Unihost decided to show what really cool stuff you can do on a meager shared hosting. Wallabag is an open source Pocket analogue — it allows you to save your favorite webpages. Unlike the traditional browser bookmarking, here the whole content of the webpage is copied to the storage, so that it can be later retrieved on demand. This means that your bookmarks will be available to you even after they have been deleted from the original website. You can install Wallabag on any type of web hosting, although you might want to be on the beefy side if you intend to have a lot of concurrent users. You can then access your bookmarks via your website or via Wallabag’s mobile client. Wallabag can be installed on the Unihost hosting with a single click through Softaculous. URLs can get long and hard to read. And long URLs don’t look nice in chats, IMs, Twitter and other places where you can’t mask them via HTML magic. But what you can do, is to create a redirect with a shorter URL, that will send anyone who clicks it to the long URL. And that’s the idea of the URL shortener in a nutshell. The most famous URL shorteners are bit.ly and goo.gl. But nothing stops you from running your own server, especially if the name of your brand is short and remarkable. Thus, anyone who will use your shortener, will promote your brand. If you want to set up your own URL shortener, we highly recommend Yourls. It’s an open source web application that is flexible, easy to set up and most importantly — free. 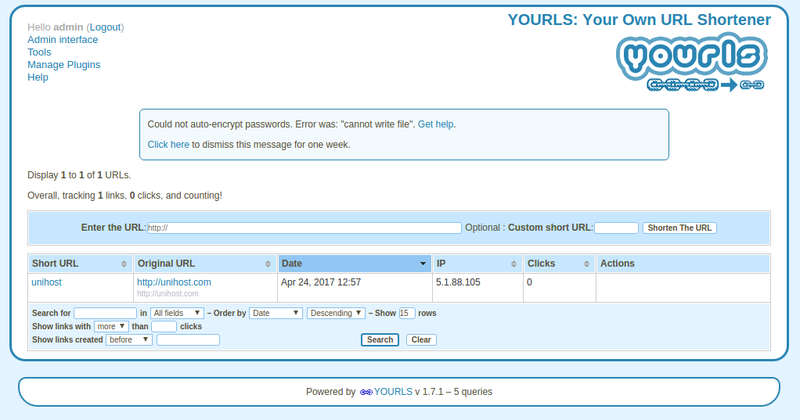 Also, Yourls can be installed on the Unihost hosting in a single click through Softaculous. Running a niche blog is nice, but it’s highly rare for blog readers to become a united community. But forums are another case entirely — their readers are equal and anyone can start a conversation on any subject they want. You can also have a chat on a subdomain, for chaotic momentary discussions that are bound to occur whenever passionate enthusiasts come together. Granted, with the advent of Reddit, the popularity of separate forums had waned — but they are still going pretty strong. 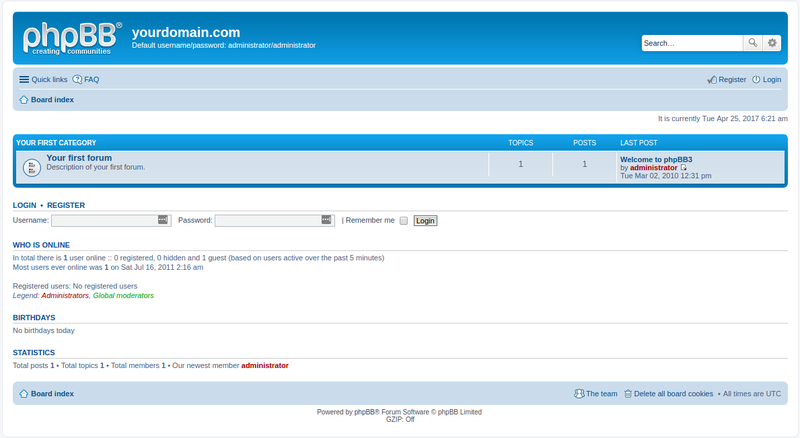 The best platform for making forums is phpBB. There is no way to run a functional chat on a shared hosting, but nothing stops you from creating a Discord room and posting the link in the forum. phpBB can be installed on any Unihost hosting with a single click via Softaculous. Kanboard board for the project inself. Have you ever used Trello? Well, Kanboard is better, not to mention much more secure! And if you haven’t heard about Trello, then Kanboard is a task based collaboration tool that allows you to easily cooperate and coordinate the work of many people at once, showing you what is being worked on, who is working on it and what else needs to be done. With Kanboard, it is easy to coordinate the work of even large projects and businesses. Of course, Kanboard alone won’t bring you more productivity — that is entirely up to you and your collaborators. But it will definitely point you in the right direction. 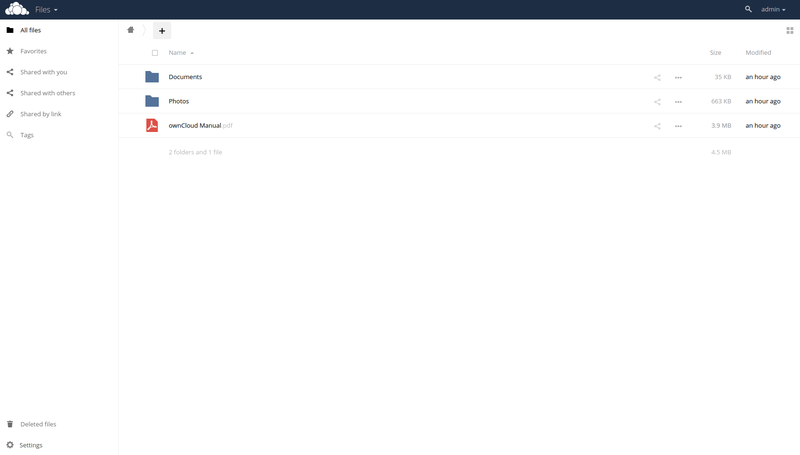 Also, Kanboard can be installed on the Unihost hosting in a single click through Softaculous. Your employees and collaborators will also need some place they can communicate with each other. We recommend using Slack, Hipchat, or Mattermost. If you do not know exactly, OwnCloud can be easily confused with GDrive or Dropbox. Cloud drives like OneDrive and Google Drive are extremely popular, yet there may be an issue with the privacy of your files. But what if you need something confidential, yet available on-the-go? Well, you can always create your own cloud with OwnCloud. This web application allows you to create a fully functional cloud drive out of any hosting, VPS or server and even has Android and iOS clients. It is open-source and completely free of back doors. While creating OwnCloud on a shared hosting is possible, there may be moments where its performance will be suboptimal. Nothing critical, but definitely an inconvenience. Dogmazic.net streaming service is powered by Ampache. Google Music allows you to upload your own music to the service, but it’s not really an optimal choice. Your files will always be second-class citizens on the service — last in the search results, lacking the established tag formatting, etc. Not to mention the price, which is rather steep. So, if you already own a hosting, you can easily create your own streaming service that will run in parallel to your website or web application. KPlaylist and Ampache are two powerful tools that will allow you to create your own music streaming server. 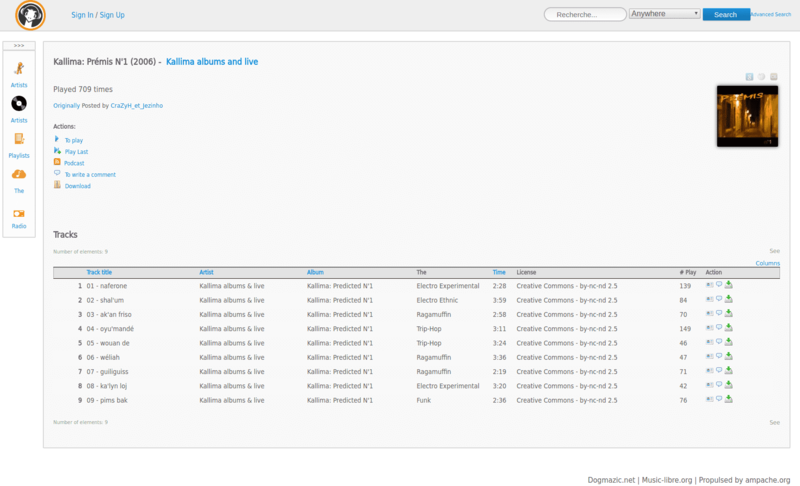 Both are lightweight and easy to use, but KPlaylist is a bit more dated and basic compared to Ampache. This is not a disadvantage per se — due to its age, KPlaylist uses a little less resources — but if you cannot stand Web 1.0 and Windows 95 stylistic, you might want to go with a bit more modern Ampache. NOTE: Keep in mind, that KPlaylist lacks the mobile app support. You will have to use your server through the Chrome browser, which may result in suboptimal performance and broken UI on the small screens. Ampache, on the other hand, has an abundance of first-party clients and third-party players that support it. 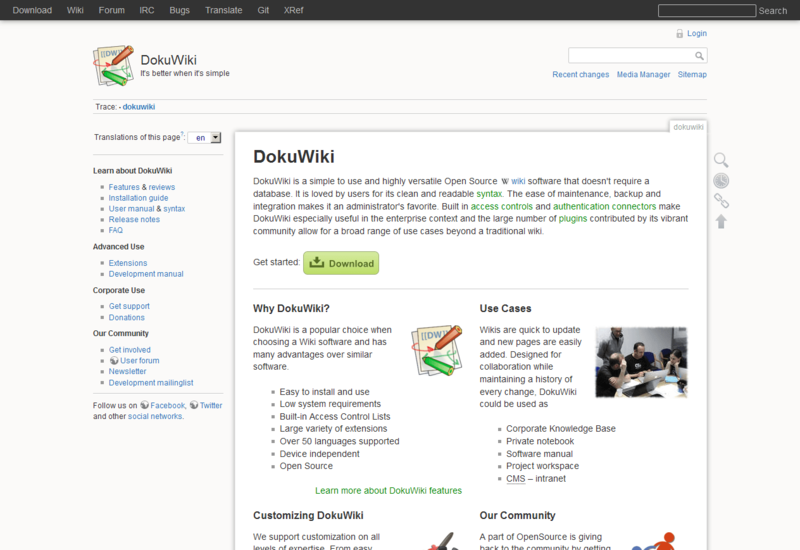 DokuWiki is a much better option. It is a static page CMS, which means that there is little to no processing power required. It is slick, snappy and pretty powerful for something that, according to developers, «will run on any web hosting that supports PHP». It can even be installed in one click on any Unihost hosting. On the downside you won’t be able to quickly edit your files on the go with your phone. You also miss out on some features, like page discussions, but considering the cesspit they usually become on the actual Wikipedia, that might be a good thing. In addition to neat CMSs and web applications you can run, these are some cool features you can use on the hosting itself. Every domain owner can create an email account attached to their domain. Using it really helps to identify your mail and give it a unique flair. Alas, the webmail clients that are included in cPanel and ISPmanager are rather limited, and using a local email client is an inconvenience. On the other hand almost everyone is already using Gmail or maybe even Inbox. But there is a way to connect your website account to the Gmail and get the best of both words. In fact, Unihost Knowledge Base has an article that details the whole process. Being hacked is not fun at all. I had once lost a social media account and I felt pretty pissed off. Now, imagine how it feels to lose a project you’d put all your heart in! Two Factor Authorization should be used to prevent just that. Basically, it demands that an additional system has to be triggered in order to get access to the account. For example, in addition to password, you also need to input a one-time code, generated by your smartphone. Without either of them, you cannot login. Of course, this system is still not perfect, but it significantly improves the safety of your online projects. If you really care about the safety of your data, you might want to also protect your phone with a password and a fingerprint lock. And what unusual CMS or web app do you run on your hosting? Tell us in comments! Liked that? We’ve done our best! Subscribe to get useful articles and updates. 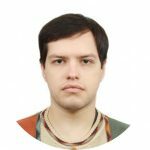 Damian is an editor and translator with Unihost since 2016. He enjoys figuring out geeky details of the things he writes about — sometimes way too much. Leave HTML to designers, write your posts in Markdown! Вот только если поставить все эти полезные приложения на один хостинг, то он если не ляжет, то будет работать очень медленно.